Friedrich Max Müller (December 6, 1823 – October 28, 1900), more commonly known as Max Müller, was a German philologist, mythographer, and Orientalist who virtually created the discipline of comparative religion. He was also one of the founders of the Western academic field of Indian studies and wrote both scholarly and popular works on the subject of Indology. The Sacred Books of the East was a massive, 50-volume set of English translations prepared under his direction that stands as an enduring monument to Victorian scholarship. Müller's use of comparative linguistics in his research methodology and focus on natural phenomena are no longer accepted by mythologists today. Nevertheless, Müller is an early pioneer of mythology and a notable scholar who made non-Christian religions such as Hinduism, Buddhism, and others accessible to scholars in the West. In 1841 he entered Leipzig University, where he left his early interest in music and poetry in favor of philosophy. Müller received his Ph.D. in 1843 for a dissertation on Spinoza's Ethics. He also displayed an aptitude for languages, learning the Classical languages Greek and Latin, as well as Arabic, Persian and Sanskrit. In 1844 Müller went to Berlin to study with Friedrich Schelling. He began to translate the Upanishads for Schelling, and continued to research Sanskrit under Franz Bopp, the first systematic scholar of the Indo-European languages. Schelling led Müller to relate the history of language to the history of religion. At this time, Müller published his first book, a German translation of the Hitopadesa, a collection of Indian fables. In 1845, Müller moved to Paris to study Sanskrit under Eugène Burnouf. It was Burnouf who encouraged him to translate the complete Rig Veda, using manuscripts available in England. Müller moved to England in 1846 in order to study Sanskrit texts in the collection of the East India Company. He supported himself at first with creative writing, his novel German Love being popular in its day. Müller's connections with the East India Company and with Sanskritists based at Oxford University led to a career in Britain, where he eventually became the leading intellectual commentator on the culture of India, which Britain controlled as part of its Empire. This led to complex exchanges between Indian and British intellectual culture, especially through Müller's links with the Brahmo Samaj. He became a member of Christ Church, Oxford in 1851, when he gave his first series of lectures on comparative philology. 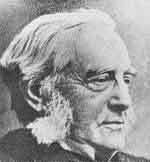 He gained appointments as Taylorian Professor of Modern European Languages in 1854 and as Professor of Comparative Philology at Oxford. Defeated in the 1860 competition for the tenured Chair of Sanskrit, he later became Oxford's first Professor of Comparative Theology (1868 – 1875), at All Souls College. Müller attempted to formulate a philosophy of religion that addressed the crisis of faith engendered by the historical and critical study of religion by German scholars on the one hand, and by the Darwinian revolution on the other. Müller was wary of Darwin's work on human evolution, and attacked his view of the development of human faculties. His work was taken up by cultural commentators such as his friend John Ruskin, who saw it as a productive response to the crisis of the age (compare Matthew Arnold's "Dover Beach"). He analyzed mythologies as rationalizations of natural phenomena, primitive beginnings that we might denominate "protoscience" within a cultural evolution; Müller's "anti-Darwinian" concepts of the evolution of human cultures are among his least lasting achievements. Müller shared many of the ideas associated with Romanticism, which colored his account of ancient religions, in particular his emphasis on the formative influence on early religion of emotional communion with natural forces. Müller's Sanskrit studies came at a time when scholars had started to see language development in relation to cultural development. The recent discovery of the Indo-European (IE) language group had started to lead to much speculation about the relationship between Greco-Roman cultures and those of more ancient peoples. In particular the Vedic culture of India was thought to have been the ancestor of European Classical cultures, and scholars sought to compare the genetically related European and Asian languages in order to reconstruct the earliest form of the root-language. The Vedic language, Sanskrit, was thought to be the oldest of the IE languages. Müller therefore devoted himself to the study of this language, becoming one of the major Sanskrit scholars of his day. Müller believed that the earliest documents of Vedic culture should be studied in order to provide the key to the development of pagan European religions, and of religious belief in general. To this end, Müller sought to understand the most ancient of Vedic scriptures, the Rig-Veda. Müller was greatly impressed by Ramakrishna Paramhansa, his contemporary and proponent of Vedantic philosophy, and authored several essays and books on him. An 1907 study of Müller's inaugural Hibbert Lecture of 1878 was made by one of his contemporaries, D. Menant. It argued that a crucial role was played by Müller and social reformer Behramji Malabari in initiating debate on child marriage and widow remarriage questions in India. For Müller, the study of the language had to relate to the study of the culture in which it had been used. He came to the view that the development of languages should be tied to that of belief-systems. At that time the Vedic scriptures were little-known in the West, though there was increasing interest in the philosophy of the Upanishads. Müller believed that the sophisticated Upanishadic philosophy could be linked to the primitive henotheism of early Vedic Brahmanism from which it evolved. He had to travel to London in order to look at documents held in the collection of the British East India Company. While there he persuaded the company to allow him to undertake a critical edition of the Rig-Veda, a task he pursued doggedly over many years (1849 - 1874), and which resulted in the critical edition for which he is most remembered. For Müller, the culture of the Vedic peoples represented a form of nature worship, an idea clearly influenced by Romanticism. He saw the gods of the Rig-Veda as active forces of nature, only partly personified as imagined supernatural persons. From this claim Müller derived his theory that mythology is 'a disease of language'. By this he meant that myth transforms concepts into beings and stories. In Müller's view 'gods' began as words constructed in order to express abstract ideas, but were transformed into imagined personalities. Thus the Indo-European father-god appears under various names: Zeus, Jupiter, Dyaus Pita. For Müller all these names can be traced to the word 'Dyaus', which he understands to imply 'shining' or 'radiance'. This leads to the terms 'deva', 'deus', 'theos' as generic terms for a god, and to the names 'Zeus' and 'Jupiter' (derived from deus-pater). In this way a metaphor becomes personified and ossified. This aspect of Müller's thinking closely resembled the later ideas of Nietzsche. Nevertheless Müller's work contributed to the developing interest in Aryan culture which set Indo-European ('Aryan') traditions in opposition to Semitic religions. He was deeply saddened by the fact that these later came to be expressed in racist terms. This was far from Müller's own intention. For Müller the discovery of a common Indian and European ancestry was a powerful argument against racism. In 1881, he published a translation of the first edition of Kant's Critique of Pure Reason. He agreed with Schopenhauer that this edition was the most direct and honest expression of Kant's thought. His translation corrected several errors that were committed by previous translators. Müller wrote, "The materials are now accessible, and the English-speaking race, the race of the future, will have in Kant's Critique another Aryan heirloom, as precious as the Veda—a work that may be criticised, but can never be ignored." His wife, Georgina Adelaide (died 1916) had his papers and correspondence carefully bound; they are at the Bodleian Library, Oxford. The Goethe Institutes in India are named Max Müller Bhavan in his honor. 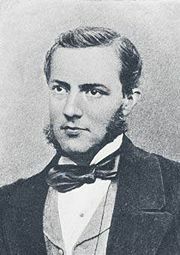 Müller's son Wilhelm Max Müller was also an important scholar. Müller's comparative religion was criticized as subversive of the Christian faith. According to Monsignor Munro, the Roman Catholic bishop of St Andrew's Cathedral in Glasgow, his 1888 Gifford Lectures on the "science of religion" represented nothing less than "a crusade against divine revelation, against Jesus Christ and Christianity". Similar accusations had already led to Müller's exclusion from the Boden chair in Sanskrit in favor of the uncontroversial Monier Monier-Williams. By the 1880s Müller was being courted by Charles Godfrey Leland, Helena Blavatsky and other writers who were seeking to assert the merits of "Pagan" religious traditions over Christianity. The Art Nouveau and Symbolist designer Mary Fraser Tytler stated that Müller's book Chips from a German Workshop (a collection of his essays) was her "Bible," which helped her to create a multi-cultural sacred imagery. Müller distanced himself from these developments, and remained within the Lutheran faith in which he had been brought up. He several times expressed the view that a "reformation" within Hinduism needed to occur comparable to the Christian Reformation. In his view, "if there is one thing which a comparative study of religions places in the clearest light, it is the inevitable decay to which every religion is exposed…. Whenever we can trace back a religion to its first beginnings, we find it free from many blemishes that affected it in its later states." He used his links with the Calcutta-based Brahmo Samaj group, founded in 1928, in order to encourage such a reformation on the lines pioneered by Ram Mohan Roy. Munro had argued conversely that Müller's theories "uprooted our idea of God, for it repudiated the idea of a personal God." He made "divine revelation simply impossible, because it [his theory] reduced God to mere nature, and did away with the body and soul as we know them." Müller remained profoundly influenced by the Kantian Transcendentalist model of spirituality, and was opposed to Darwinian ideas of human development, arguing that "language forms an impassable barrier between man and beast." Though he took the view that Christian morality was superior to Vedic traditions, his Gifford lectures rejected the concept of direct divine revelation in favor of a transcendental model of spiritual insight, which, in his view, was perfected in the Vedanta. However, at the very end of his life he embarrassed some members of the Brahmo Samaj when he wrote to them asking them to declare that their version of Hinduism was now a form of Christianity, and that they had become Christians. Some controversy has arisen in certain quarters in Hindu nationalism over Müller's interpretation of Vedic culture. In recent years he has been accused of using his scholarship to undermine Hinduism and encourage Christian missionary work. Müller was a pioneer in mythology who used comparative linguistics in his research methodology and primarily examined natural phenomena. Soon after Müller, mythologists such as James George Frazer adopted cultural anthropology in their methodology and examined cultural phenomena instead. During the twentieth century, mythological studies expanded its focus to include broader, social phenomena and shifted their methodology from a focus on cultural anthropology to structural linguistics. Claude Gustave Lévi-Strauss, who established the structuralist approach, and Georges Dumézil were key transitional figures in this paradigm shift. Mythological studies further changed its focus to include psychological phenomena and adopted psychoanalytic methodologies. Müller's approach to mythology, in its methodology and framework, is no longer accepted by scholars today. Nevertheless, Müller's pioneering efforts were an important step for the establishment of mythology as an academic discipline. Furthermore, his works on Asian religions opened up the rich intellectual and spiritual resources of these non-Christian religious traditions to the West. The Sacred Books of the Eastis a monumental 50-volume set of English translations of Asian religious writings, edited by Max Müller and published by the Oxford University Press between 1879 and 1910. It incorporates the essential sacred texts of Hinduism, Buddhism, Taoism, Confucianism, Zoroastrianism, Jainism, and Islam. All of the books are in the public domain in the United States, and most or all are in the public domain in many other countries. Hindu 1879 Max Müller The Upanishads, Part 1 of 2. Chandogya Upanishad. Talavakara (Kena) Upanishad. Aitareya Upanishad. Kausitaki Upanishad. Vajasaneyi (Isa) Upanishad. China 1879 James Legge The Sacred Books of China, vol. 1 of 6. Part I of The Texts of Confucianism. The Shû king. The religions portions of the Shih king. The Hsiâo king. Hindu 1882 Julius Eggeling The Satapatha Brahmana according to the text of the Mâdhyandina school, vol. 1 of 5. Hindu 1884 Max Müller The Upanishads, part 2 of 2. Katha Upanishad. Mundaka Upanishad. Taittiriya Upanishad. Brhadaranyaka Upanishad. Svetasvatara Upanishad. Prasña Upanishad. Maitrayani Upanishad. China 1891 James Legge The Texts of Taoism, Part 2 of 2. Includes The Writings of Kwang Tse, books XVII-XXXIII, The Thâi-shang tractate of actions and their retributions, other Taoist texts, and the Index to vols. 39 and 40. Hindu 1894 Julius Eggeling The Satapatha Brahmana according to the text of the Mâdhyandina school, vol. 3 of 5. Books V, VI, VII. Hindu 1897 Maurice Bloomfield Hymns of the Atharvaveda, Together With Extracts From the Ritual Books and the Commentaries. Hindu 1897 Julius Eggeling The Satapatha Brahmana according to the text of the Mâdhyandina school, vol. 4 of 5, Books VII, IX, X.
index 1910 Moriz Winternitz, with a preface by Arthur Anthony Macdonell General index to the names and subject-matter of the Sacred Books of the East. Theosophy, or Psychological Religion (1893). ↑ Müller biography at Gifford Lectures website. Retrieved September 19, 2008. ↑ F. Max Müller. Rig-Veda-Samhita: The Sacred Hymns of the Brahmans. ↑ M. D. Menant, (1907) "Influence of Max Muller’s Hibbert Lectures in India," The American Journal of Theology 11 (2): 293-307, available to jstor subscribers. ↑ Bodleian Müller archive. Retrieved September 19, 2008. ↑ Myth/Folklore Scholar Reports. Retrieved September 19, 2008. ↑ Friedrich Max Müller and Georgina Müller. The Life and Letters of Right Honorable Friedrich Max Müller. 2 vols. (London: Longman, 1902) online, .books.google. Retrieved February 5, 2009. ↑ F. Max Müller. Three Lectures on the Science of Language, etc., with a Supplement, My Predecessors, 3rd ed. (Chicago, 1899), 5. ↑ Müller and Müller, 1902. ↑ Brahm Datt Bharti. Max Muller, a lifelong masquerade: The inside story of a secular Christian missionary who masqueraded all his lifetime from behind the mask of literature … intellect, and scholarship to wreck Hinduism. (Erabooks, 1992). ↑ online Sacred Books of the East website. Retrieved February 5, 2009. Müller, F. Max, and Jon R. Stone. The Essential Max Müller: On Language, Mythology, and Religion. New York: Palgrave MacMillan, 2002. Müller, F. Max, and Sāyaṇa. Rig-Veda-Samhitâ: the sacred hymns of the Brâhmans: together with the commentary of Sâyanâkârya. London: H. Frowde, 1890. Müller, F. Max. Anthropological Religion; The Gifford Lectures Delivered Before the University of Glasgow in 1891. London: Longmans, Green, and co, 1892. Müller, F. Max. Buddhist Texts from Japan. New York: AMS Press, 1976. Müller, F. Max. Comparative Mythology. International folklore. New York: Arno Press, 1977. Müller, F. Max. Last Essays, Second Series: Essays on the Science of Religion. New York: AMS Press, 1978. Müller, F. Max. Lectures on the Origin and Growth of Religion As Illustrated by the Religions of India. Delivered in the Chapter House, Westminster Abbey, in April, May, and June, 1878. New York: Scribner, 1879. Müller, F. Max. Natural Religion; The Gifford Lectures Delivered Before the University of Glasgow in 1888. London: Longmans, Green, and Co, 1889. Müller, F. Max. Ramakrishna Paramhansa: The Rational Mystic. Delhi: Vijay Goel, 2007. Müller, F. Max. The Dhammapada A Collection of Verses. Champaign, IL: Project Gutenberg, 1990s. Müller, F. Max. The Dhammapada, A Collection of Verses; Being One of the Canonical Books of the Buddhists. The Sacred books of the East, vol. 10, pt. 1. Oxford: Clarendon Press, 1881. Müller, F. Max. The Sacred Books of the East. Oxford: Clarendon Press, 1879. Müller, F. Max. The Six Systems of Indian Philosophy. New York [etc. ]: Longmans, Green, 1899. Müller, F. Max. The Upaniṣads. New York: Dover Publications, 1962. Müller, F. Max. Theosophy: Or, Psychological Religion. New York: AMS Press, 1975. Müller, Friedrich Max. Theosophy or Psychological Religion. Saarbrücken: VDM Verlag Dr. Müller, 2007. Cowell, Edward B., F. Max Müller, Junjirō Takakusu, and Aśvaghoṣa. Buddhist Mahâyâna texts. New York: Dover Publications, 1969. Bharti, Brahm Datt. 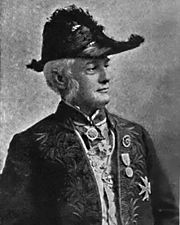 Max Muller, a Lifelong Masquerade: The Inside Story of a Secular Christian Missionary Who Masqueraded All His Lifetime from Behind the Mask of Literature and Philology and Mortgaged His Pen, Intellect, and Scholarship to Wreck Hinduism. India: Erabooks, 1992. Capps, Walter H. Ways of Understanding Religion. New York: Macmillan, 1971. Gupta, Upendra Krishna. Max Muller on Ramakrishna and Keshub. Allahabad: Printed at the Indian Press, 1930. Masuzawa, Tomoko. In Search of Dreamtime: The Quest for the Origin of Religion. Religion and postmodernism. Chicago: University of Chicago Press, 1993. Neufeldt, Ronald W. F. Max Müller and the Ṛg-Veda: A Study of Its Role in His Work and Thought. Calcutta: Minerva, 1980. Oldenberg, Hermann, and F. Max Müller. The Grihya-Sutras, Rules of Vedic Domestic Ceremonies. Sacred books of the East, v. 29, 30. Oxford: Clarendon Press, 1886. Smart, Ninian. Nineteenth Century Religious Thought in the West. Cambridge: Cambridge University Press, 1985. Stone, Jon R., ed., The Essential Max Müller: On Language, Mythology, and Religion. New York: Palgrave, 2002. Collection of 19 essays; also includes an intellectual biography. van den Bosch, Lourens P. Friedrich Max Müller: A Life Devoted to the Humanities. 2002. Recent biography sets him in the context of Victorian intellectual culture. This page was last modified on 6 September 2018, at 20:14.